Adjustable height of 17" to 21"
The Alvin Art Director Executive Leather Office Height Chair is an attractive and sleek high back chair with its high-quality buffalo leather upholstery. Designed for ultimate comfort, it comes with armrests and extra thick seat cushion that measures 20"W x 19"L x 3”H. This allows convenient sitting even for a long period of time. With its pneumatic height control, it has adjustable height of 17 inches up to 21 inches. 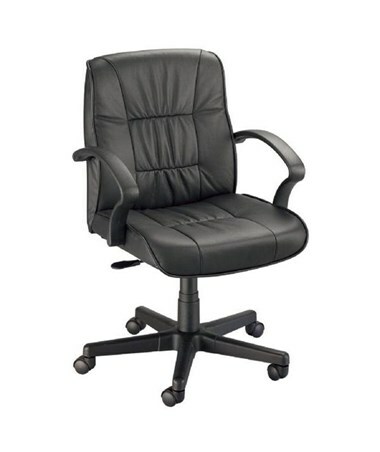 This office height chair features a 19”W x 20”H backrest to provide complete back support when in use. It ensures sturdiness and stability with its reinforced nylon base that is 26 inches in diameter. Equipped with five dual-wheel casters, this chair is totally mobile and easily movable to guarantee efficient working while sitting. 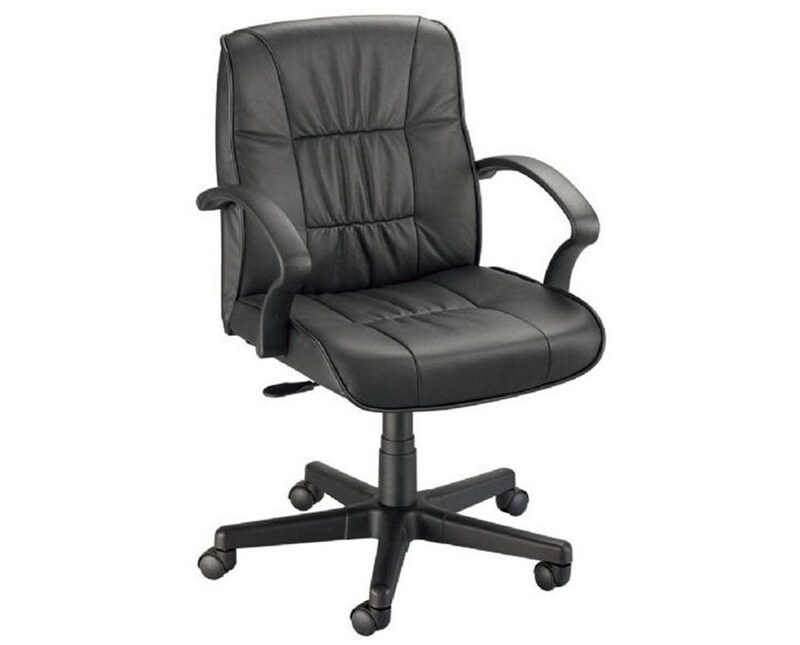 The Alvin Art Director Executive Leather Office Height Chair is professional looking and comes in black color making it suitable for any office, studio, or workshop. Adjustable Height 17" to 21"